Spray two 13 x 9 baking dishes. Place chicken breasts in dishes. Mix salsa, pineapple, and jalapeno. Spoon over chicken. Bake at 350 F for 30-40 minutes until internal temperature. Meanwhile, combine beans, paprika, and herbs in saucepan. Simmer on low until chicken is done. Also meanwhile, prepare some rice in the rice cooker. When chicken is done, use kitchen shears to cut into bite size pieces. Stir in beans, and serve over rice. Toss squash with salt and oils. Set aside. 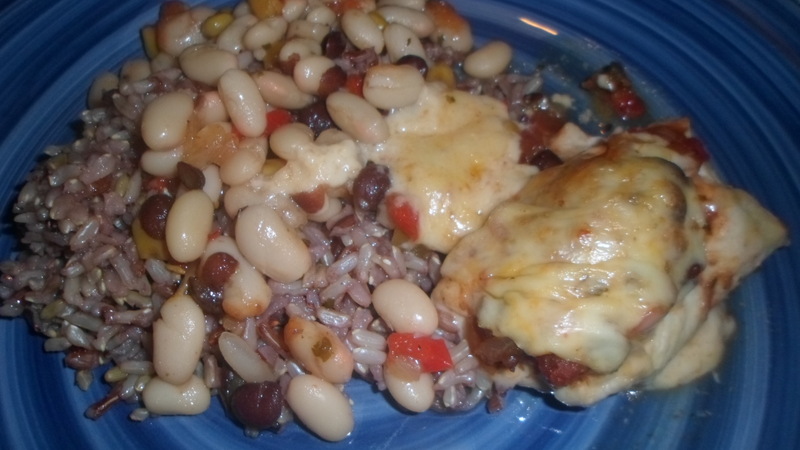 Mix leftover filling, beans, pork, and shredded cheese for filling. 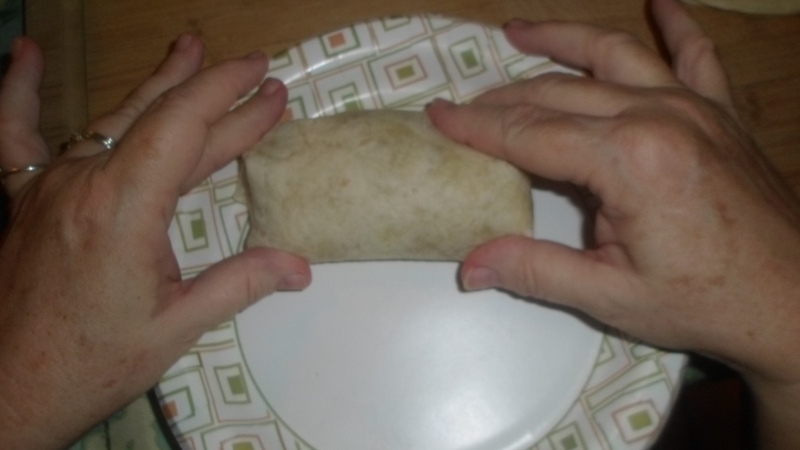 Heat tortillas in the microwave so you can pull them apart easily. 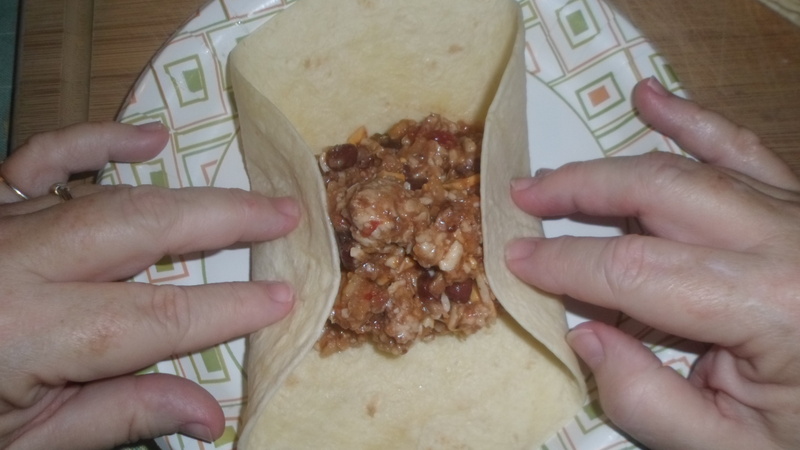 Divide filling into equal parts so your burritos are all similar in size. 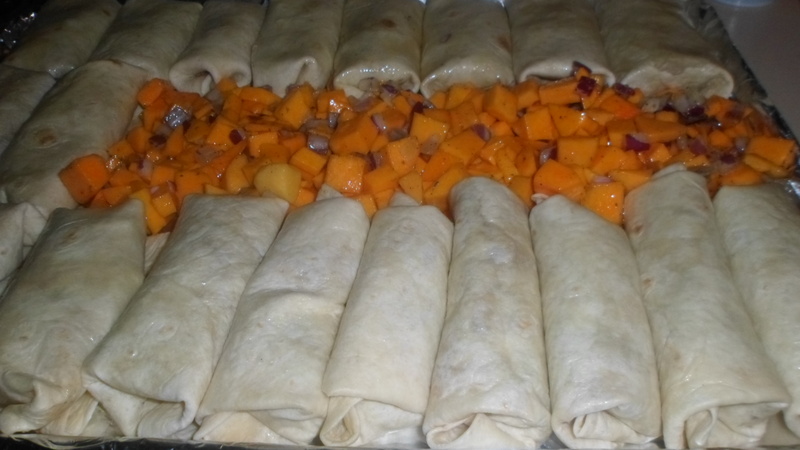 Place filling on tortilla and roll burrito style. Place on large baking sheet sprayed with coconut oil, leaving room for the squash to bake alongside it. 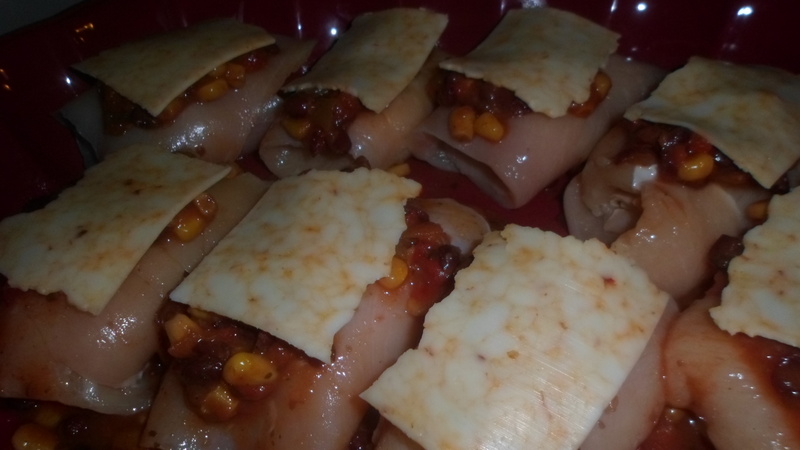 Bake for about 30-40 minutes or until burritos are golden brown. 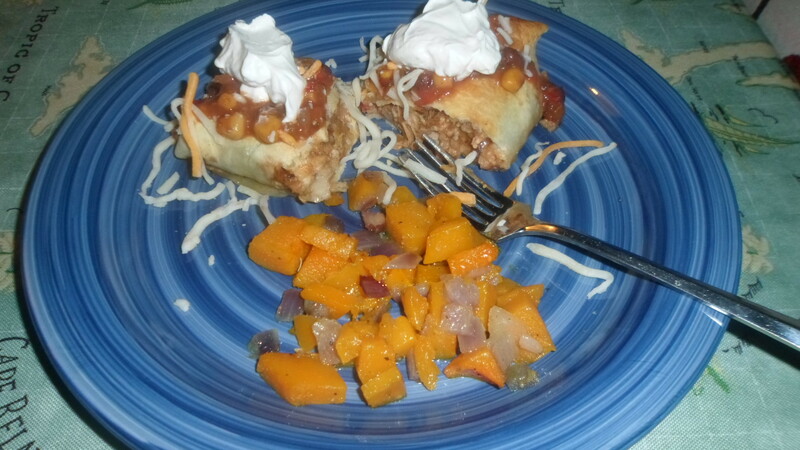 Serve with sour cream, salsa and more shredded cheese. 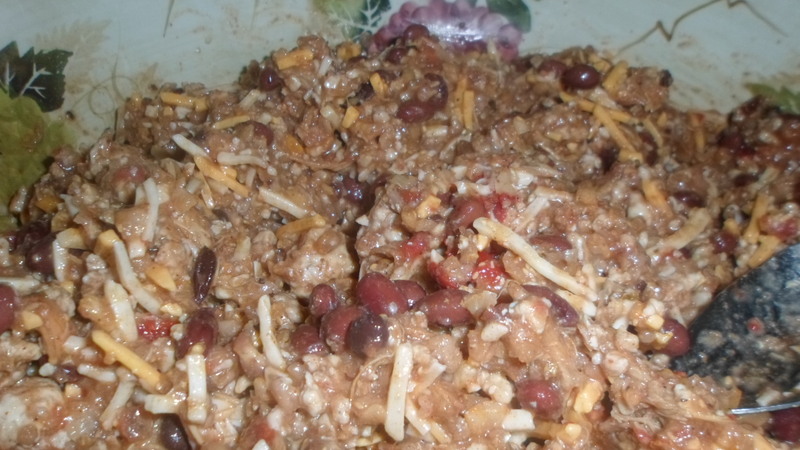 A great way to use leftover chili, pulled pork, or any rice dish. Spoon a little salsa in the bottom of a 13 x 9 baking dish. 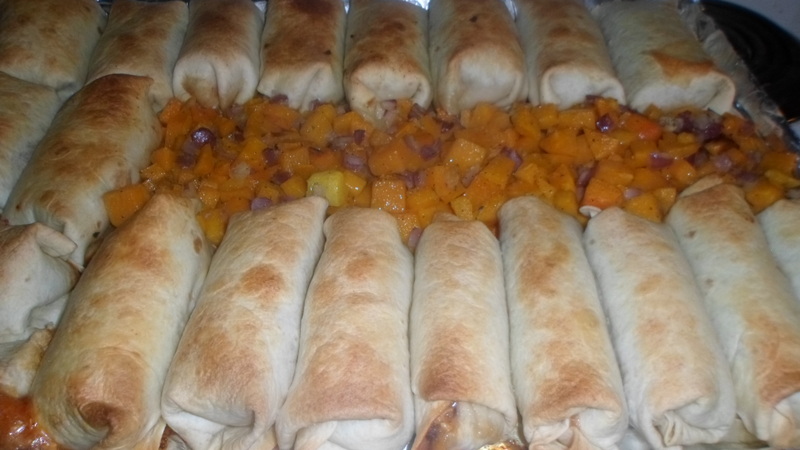 Spoon remaining salsa (reserving 1/2 c) over rolls. 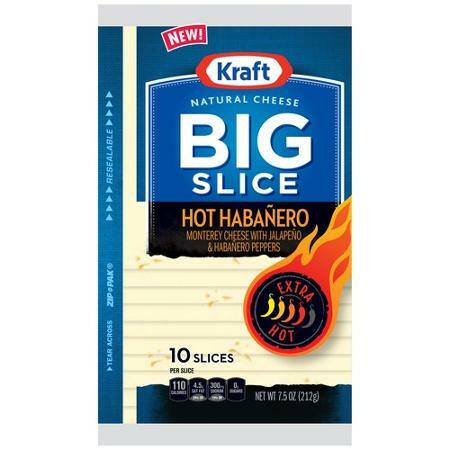 Top each with 1/4 slice cheese. Bake at 325 for 35 minutes. I mixed 2 cans of great northern beans with the remaining salsa, and we ate the beans over rice. Another sale led me to this meal. 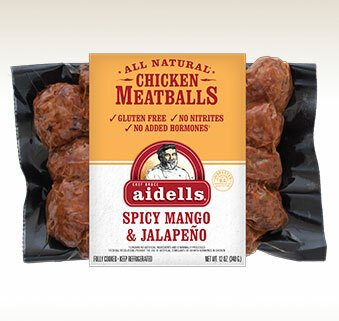 The meatballs were a steal! 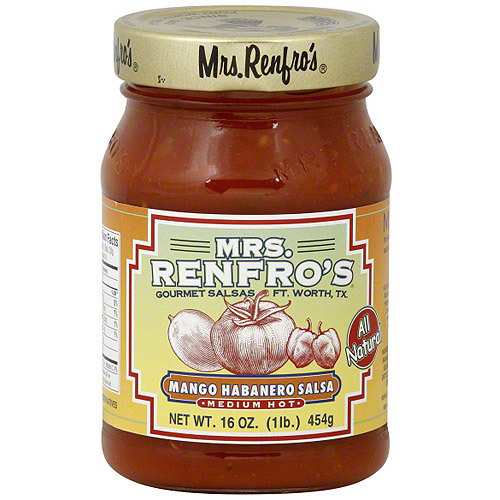 I wanted some more sauce than they come with, though, and when I saw the Mrs. Renfro’s on sale too, it was meant to be! I heated up the meatballs and salsa in a large skillet with a lid over medium low for about 45 minutes, while I cooked some brown rice. I steamed a package of broccoli slaw and mixed it with the cooked brown rice. 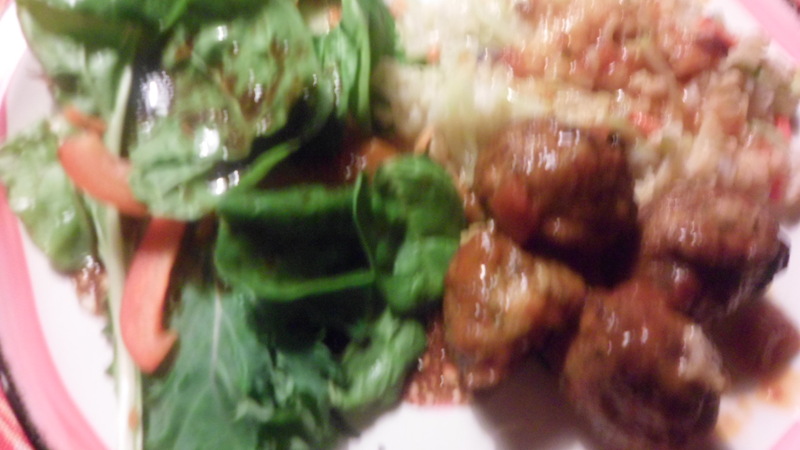 We also had a nice salad of mixed greens to cool things down, and a dollop of sour cream helped too. 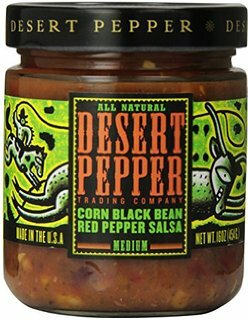 This is a very spicy, but very delicious combination. I will try this again (from scratch next time) now that I know the kids like the combination.